minstall and mx-installer are the same tool? 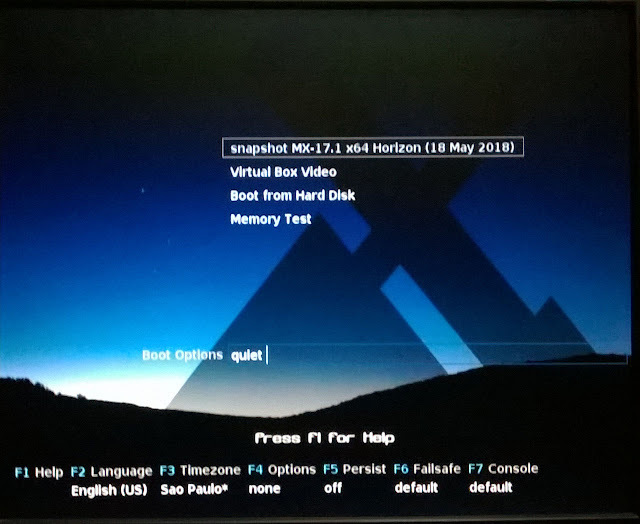 I did test last night ─ using MX-17.1_May_x64.iso ─ md5sum Ok, K3b Ok.
At Boot Menu, all standards option, ─ except for Time Zone (America / Sao_Paulo). 31 upgraded, 8 newly installed, 0 to remove and 0 not upgraded. Need to get 124 MB of archives. After this operation, 18.1 MB of additional disk space will be used. 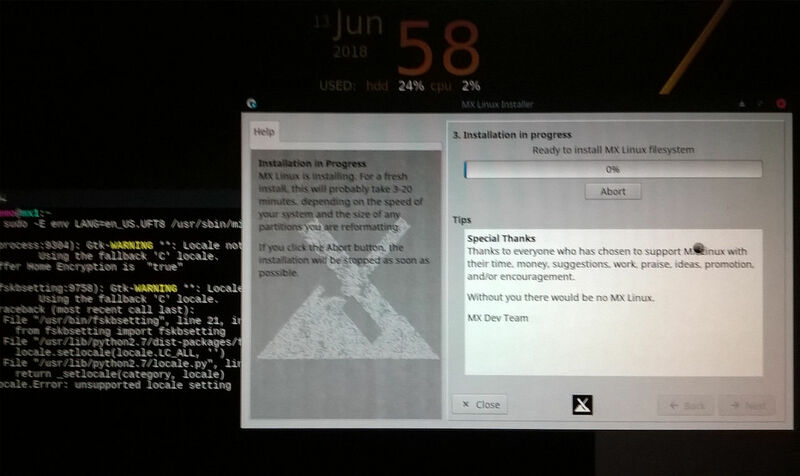 mx-installer is already the newest version (18.6.2). (process:9304): Gtk-WARNING **: Locale not supported by C library. Offer Home Encryption is  "true"
(fskbsetting:9758): Gtk-WARNING **: Locale not supported by C library. Waiting some time, until 23:26. Finally, tryed Ctrl+C and Ctrl+D. I don't know what's going on, but there is a typo in your LANG value. also, you don't need that lang value at all if you are keeping English as the language (which you did in your screenshots). Ok. First ignore the GTK-Warnings. Not sure whether this "error" is the reason for the further stop. Could you also turn off power saving to not get confused by this again. EDIT2: How many partitons to you have on the MBR-bios drive? with Gparted before you start the installer. And have also all partions unmonted also. I do have the feeling something wrong on the drive/partion level. recreating a partitions might just stuck without further error mesg. most linux libs and the MBR holding only 16 ( 3 prim + 1 extended + 12 logical). It's possible but the partitions are already created, he just selects them. The installer would reformat them but they are already created so I'm not sure is that. A debug mode might help to get more output. and how many partitions exists. You can create more than the practical limit. with tools which stick to the limit. you might call libs, which has no clue about such a big numer of partitions. Thats the point I try to make. Not sure that's the reason for the issue in this case. thanks, indeed I had typo en_US in the command. It could be all-in-one session. indeed, all other times I had tryed, there was no typo in LANG, ─ as I never had called Installer by command, ─ so I believe this was not the cause to hang now, too. 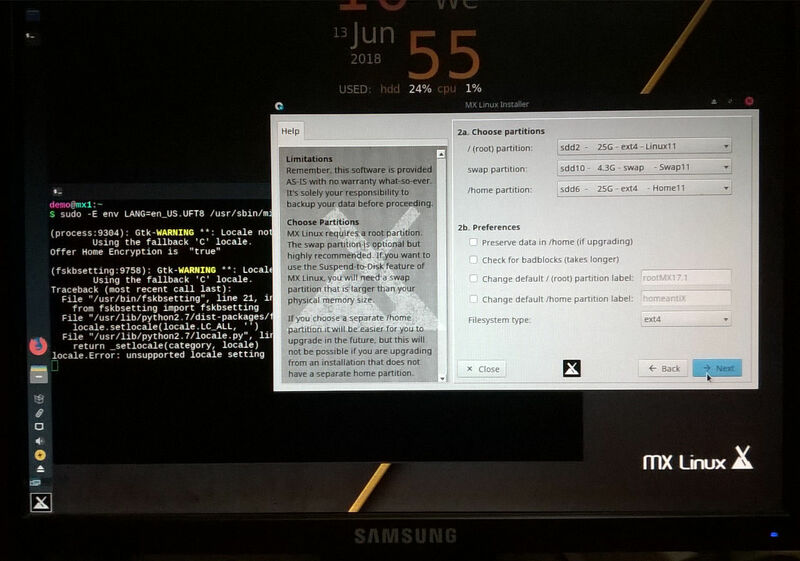 In name of truth, these partitions Linux11, Home11, Swap11 belong to Manjaro, ─ and they were not touched. ─ I am using Manjaro now, and it seems to present no sequels. But in previous trials, partitions Linux10, Home10 had been previously formated, ─ and Installer presented the same hang, back then. 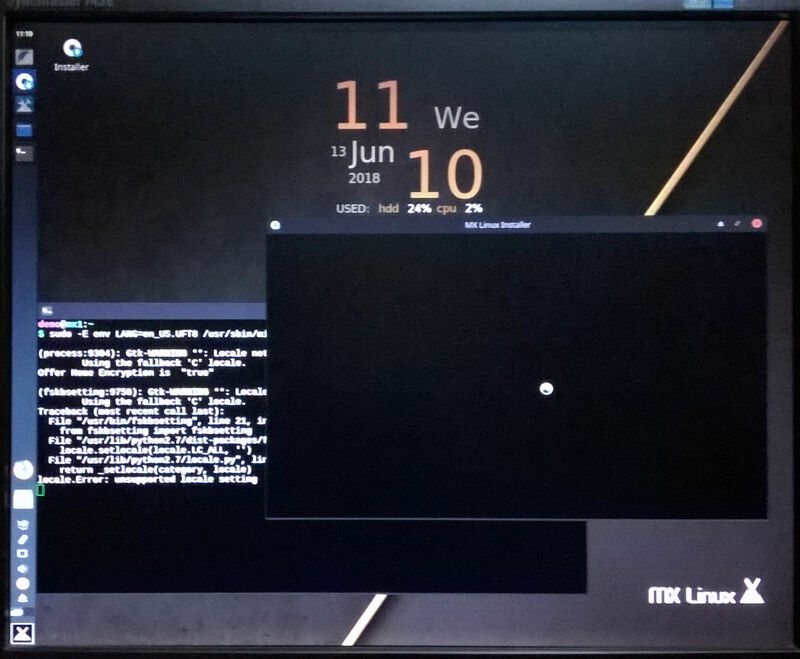 In some previous trials, I did run GParted within the Live MX session, before to open Installer, ─ but other times, I did run GParted from a Live Knoppix session, before MX session, ─ so I think it didn't make difference to the hang, too. Difference is that now I didn't fill nothing about Label, or to preserve / don't preserve Home content, ─ in order to check all possibilities. ─ It seems that it did'nt make difference, too. Remembering that in Live antiX (March ISO) the Installer worked fine since the first attempt. ─ Ok, I didn't try it again, so I don't know if it would fail. One thing I never did, in all these attempts: ─ Never checked if partitions were mounted or unmounted, before to open Installer. ─ It is not reasonable to presume that it could be necessary. How many people do this, before begin to install any distro? If a Live ISO mounts partitions, logically its installer will unmount them, or ask to. 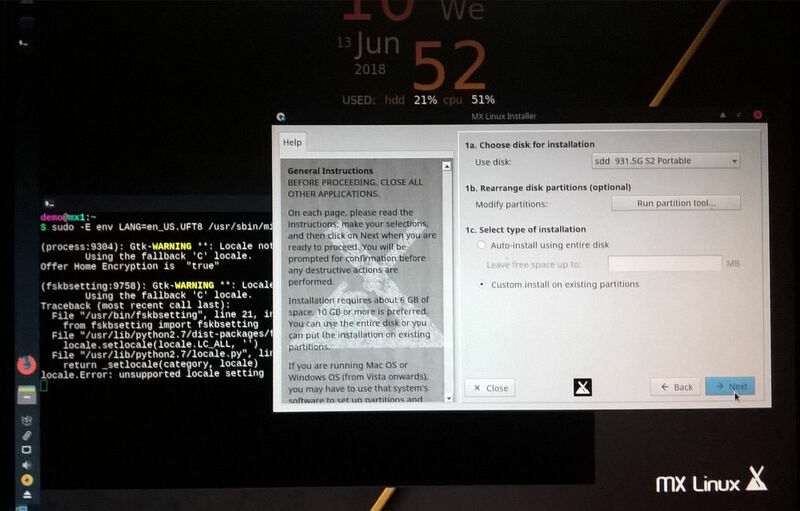 Some times, in the past, with other distros, I did manually mount some partitions, to check some infos, ─ and installers asked to unmount them, sometimes even if they were'nt target partitions (because of technical reasons). 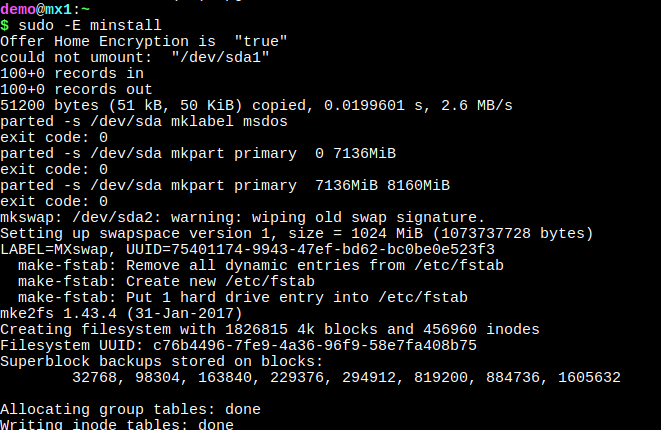 It is possible to delete and re-create sdd2 partition ("Linux11"), but I prefer not to do such things. All this partitioning was made in early 2017 and have been used since then. 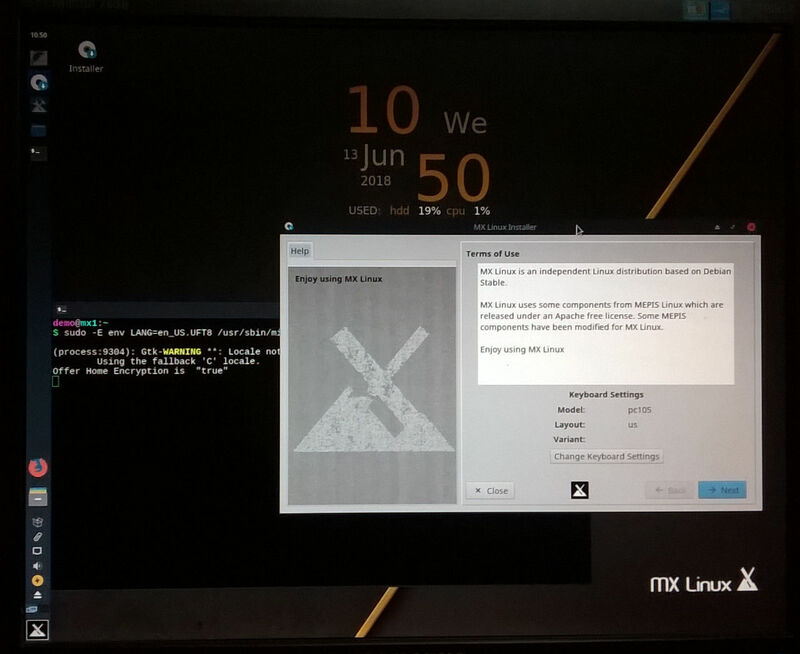 After many Installer hangs last May, 23 and 24, I did give a try to antiX, and its Installer worked fine, ─ it was installed in the same Linux10, Home10, Swap10 partitions. And this week, Live MX cli-install did work fine, too, ─ in the same Linux10, Home10, Swap10 partitions. So, why to think the Installer hangs could be caused by them? This partitioning works fine, and I would't like to touch it without a good reason. the last time we had this issue, the poster also had several drives with several partitions each (something like 40). that poster ended up taking out 3 of his drives and the install proceeded. Your partitioning looks fine to me.